Being a blogger I understand the pain of choosing a great ad network and so I keep on experimenting a lot. Today I am going to share with you a new but amazing ad network Kajamba which has specifically built for publishers. Here is my detailed Kajamba review. Though there are hundreds of ad network currently but many times you will heard that network is not paying or not responding to questions etc. These are very common question with many ad networks and so you should not blindly join any. After all our aim is to earn money from our product…right? Kajamba will help you here. Just stay tuned and I am going to share each and everything about Kajamba here. Kajamba Review- What is Kajamba? 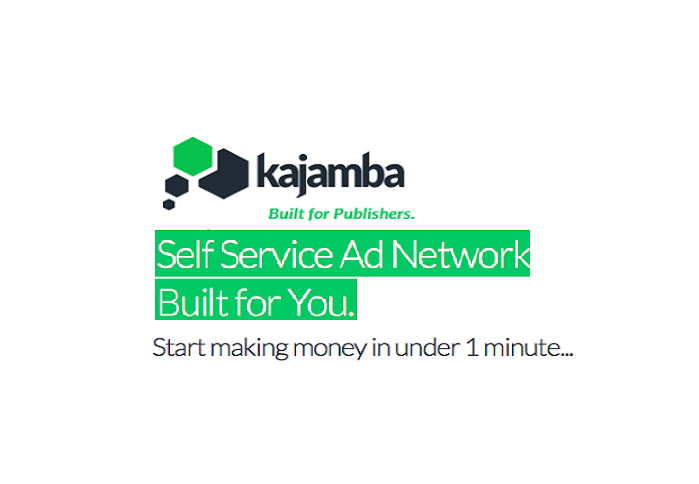 Kajamba is a self-service ad network dedicated to publisher. With having reach industry experience, Kajamba was built by some most experienced professionals from the similar background with a purpose to provide the best value to publishers for their web space and web traffic. With the growing technologies, Kajamba has developed itself and is updated with the technology and automation. Their tool with the manual assistance helps you to optimize your ads for great success. There are multiple features of Kajamba and you will be really valued to join as a publisher. They call themselves as a platform for publishers. Unlike many other ad networks, signing up with Kajamba may hardly take a minutes and their instant approval policy will make your ad running in just few minutes. So as soon as you will get approved, you can proceed further and generate the ad code script from your dashboard. Now all you have to is, paste the code on your site and start making money online. This is the biggest hurdle for any publishers. Many publishers have this question as wither they are not getting paid or not getting paid on time. Last year I also worked with one ad network and till this time I have not received payment. Though the due payment is just for USD 20 but shows the credibility of the network. But be sure about Kajamba. You will get paid through either of these three options- PayPal, Payoneer or Wire Transfer. Well…you must have seen some people earning hundreds of dollars while other just in single digit for the same traffic and quality but why? Because the later one didn’t receive quality ad. Here Kajamba will ensure that you are getting right ad for your traffic. They will try to provide you highest possible rate for each page view. After all they also want you to grow. This network used the history of the user’s web page and show ads according to that so that conversion rate can be increased. This list doesn’t end here and have many several qualities to server the publishers. Their dashboard shows the real time statistics and is really helpful. Kajamba provides quite a number of ads for your business. As a single kind of ad can’t fulfill the demand of everyone and so depending on your site and traffic, you can buy one. 3. Pop-up / pop-under- From earning point of view this type of ad is while this ad type may appear aggressive to some, it is extremely effective and yields relatively high eCPM. Both Popups and Popunders opens the advertiser's landing page in the newly opened window or tab. 4. Slider Ad- If you want more impression, use this ad. It will remain on the screen and will be visible despite where the visitor is. It will slide automatically with the cursor position. 5. OnVideo: OnVideo is a banner ad that appears on top of all embedded social video players that the publisher has on the web page. It is applicable to YouTube and Dailymotion videos as well. 6. Pusher: It is also a kind of banner ad and appears alongside, above or below the publisher's content. Pusher ads allow the visitor to "skip" (close) the ad after a few seconds, and will automatically count down and disappear after a few seconds. 7. Lightbox: A Lightbox ad appears on top of the publisher's actual web page as an "overlay" layer. Visitors will not able to view the page unless they clicks on the Close/Skip button or waits for the ad to disappear automatically. 8. Notification Bar: It will be similar like you are seeing on this site. Just see above and you will find a subscription box. Similar ad will be there in this type. 9. Video Ads: Selected Publishers are offered the option to display Kajamba's video ads on their own players as a Pre-roll, Mid-roll or Post-roll, or as a stand-alone video "banner" in several ad sizes. Kajamba works on default NET30 payment model. That means if you are reaching the threshold this month, you will get paid after 30 days i.e. End of next month. You can withdraw the amount through either of PayPal, Payoneer or Bank wire as soon as you will meet the threshold and payment will be finalized. The best thing with the network is the threshold amount which is just $5 for PayPal and Payoneer. For Wire transfer, it is $300. 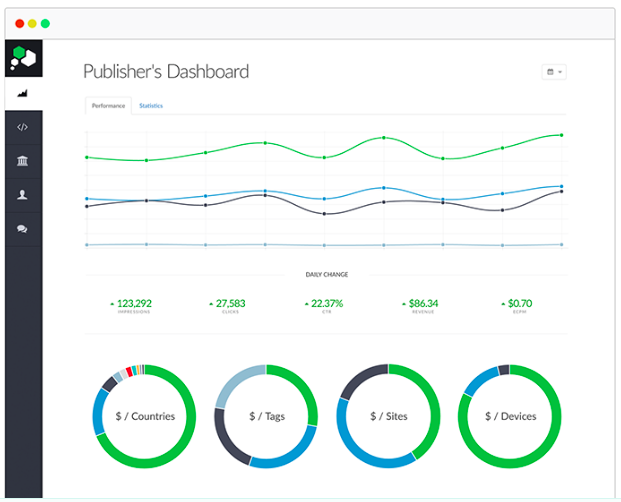 Kajamba is really an awesome ad network dedicated to publisher. They have direct tie-up with advertisers and so serving the premium ads mainly resulting to high CPM. Trust level, rich ad types and excellent support are their key factor and so you should try them out for sure.